It looks like Yair Rodriguez is off the UFC 228 card. Rodriguez was scheduled to take on Zabit Magomedsharipov in the main card opener. The bout was set to go down inside the American Airlines Center in Dallas, Texas on Sept. 8. As plans will be, plans will go awry. 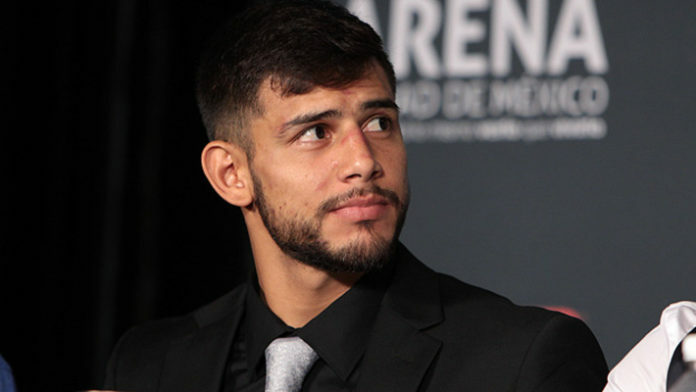 Yair Rodriguez is out of his fight against Zabit Magomedsharipov with an injury, sources tell me. UFC is already looking for replacement. Yair Rodriguez está fora do UFC 228 com uma lesão. O Ultimate já busca por um novo aniversário para Zabit Magomedshariov, fontes me informam. It has been a roller coaster ride in an attempt to make Rodriguez vs. Magomedsharipov a reality. First, UFC officials wanted the bout to take place earlier this month in Los Angeles. When Rodriguez wanted more money to fight Magomedsharipov on the UFC 227 card, he was released from the UFC. The promotion’s president Dana White said it was due to Rodriguez turning down fights with Ricardo Lamas and Zabit. “El Pantera” claimed that he accepted the Lamas fight but “The Bully” chose to take on Mirsad Bektic. The UFC quickly brought Rodriguez back to the UFC and booked the Magomedsharipov match-up. If the report holds true, then it delays Rodriguez’s return even further. “El Pantera” has not fought since May 2017. He suffered a TKO loss at the hands of former UFC lightweight champion Frankie Edgar. This would put the UFC in a tough spot because it’s hard to imagine there are many featherweights who are itching to take on Magomedsharipov on short notice. MMA News will keep you posted on the latest info regarding this report. Stick with us for the latest news on the UFC 228 card including any more potential changes and of course join us for live coverage next month. Who do you think should replace Yair Rodriguez at UFC 228?